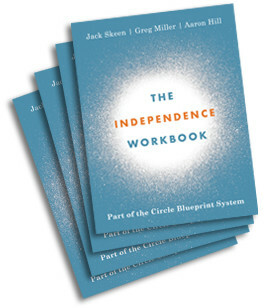 These four workbooks are filled with step-by-step instructions to help you master the four key developmental areas: INDEPENDENCE, POWER, HUMILITY, and PURPOSE. 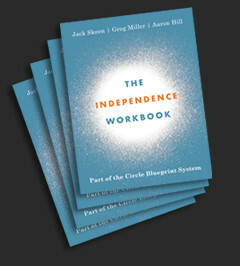 The workbooks are part of The Circle Blueprint system. 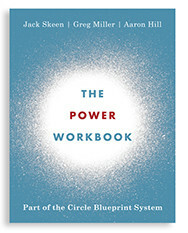 Click here to learn how it all works together. Crisis-Prone: Creating situations that either do not have to exist, or that do not actually exist in reality. Autonomous: Living free of comparison and relying healthily on self and others. 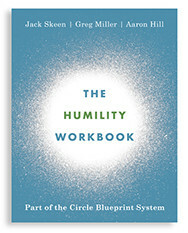 Pleasing: Adapting to the real or perceived needs of others in unhealthy ways. Pretentious: Needing to appear in a light more favorable than one actually is. Personal Commitment: Having goals, operationalizing them into actionable plans, and disciplining yourself to execute those plans. Reliance: Being controlled by someone or something else. I am hanging on by my fingernails. Despite all I have accomplished, my life isn’t good at all. I am eroding. I’m not desperate, but my life is a grind and does not seem to be headed in a positive direction. I am treading water and just sort of enduring my situation. My life isn’t bad, but I would not say it is good, either. I am growing. My life is on a positive trajectory. Certainly, it could be better, but I am reasonably satisfied and optimistic about the future. I am thriving. I am creatively engaged in my work and life. I am at the top of my game. I feel energized, balanced, healthy, and happy. Click here for a brief sampling of an exercise from each workbook. Remember, no one is forcing you to do any of these exercises. You do as much, or as little, as you decide to do. We hope, however, that you will choose to work toward creating a balanced, happy, thriving life. You deserve nothing less.